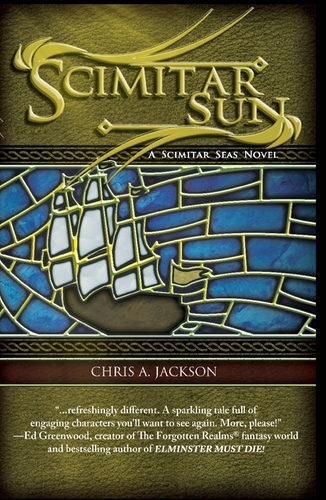 Sequel to the award-winning Scimitar Moon! The Shattered Isles are at peace. Or so it seems. The vile pirate lord, Bloodwind, has been vanquished, and Cynthia Flaxal has everything she always dreamed of: the mystical powers of a seamage, a successful shipyard, the love of a great man, and a child on the way. But trouble roils both above and below the waves. A school of vengeful merfolk harbors a secret and terrible agenda. An empire perceives Cynthia's growing fleet as a threat. A small band of surviving pirates hatches a devious plot to regain supremacy in the Shattered Isles. A favor to an old friend leaves Cynthia with a powerful but undisciplined young pyromage on her hands. And as all these forces converge, the Seamage of the Shattered Isles finds herself and her unborn child caught right in the middle.